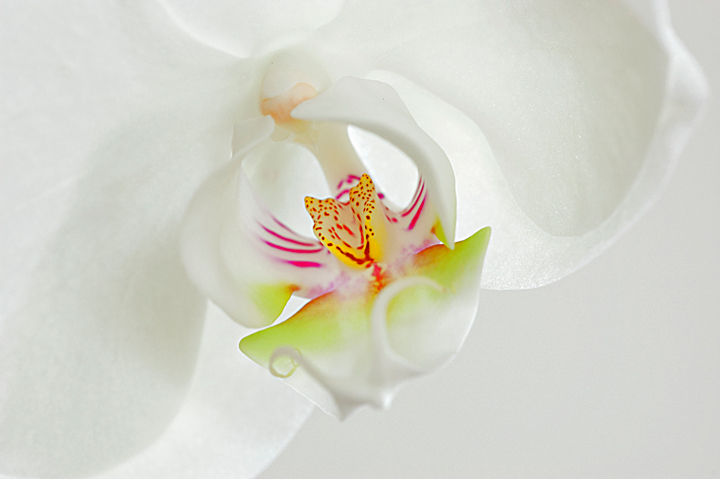 My second studio subject was a newly purchased Phalaenopsis which was also a Christmas gift. For some unknown reason I’m usually listening to Wisconsin Public Radio in January when they have a program on growing orchids and Orchid Quest. Orchid Quest is an annual orchid show in Madison, Wisconsin. 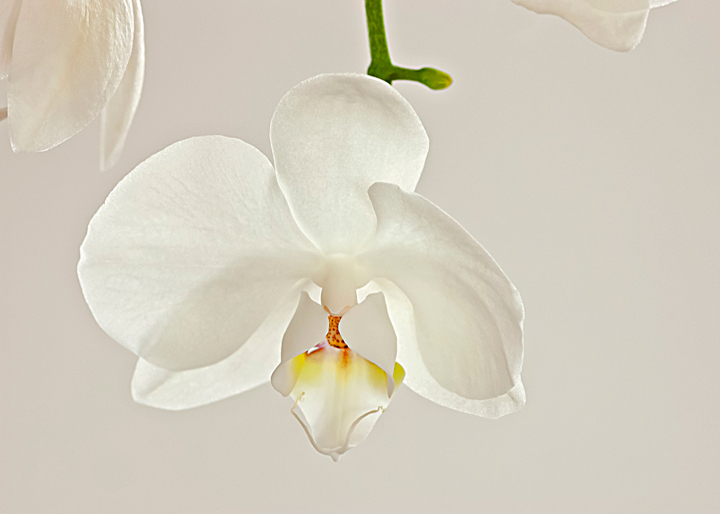 Every year I hear how easy it is to grow Phalaenopsis Orchids. I just couldn’t believe that someone could grow orchids in our climate without a lot of effort. However, a year ago I was looking for a Valentines gift for my wife and happened to be in a nearby Home Depot. 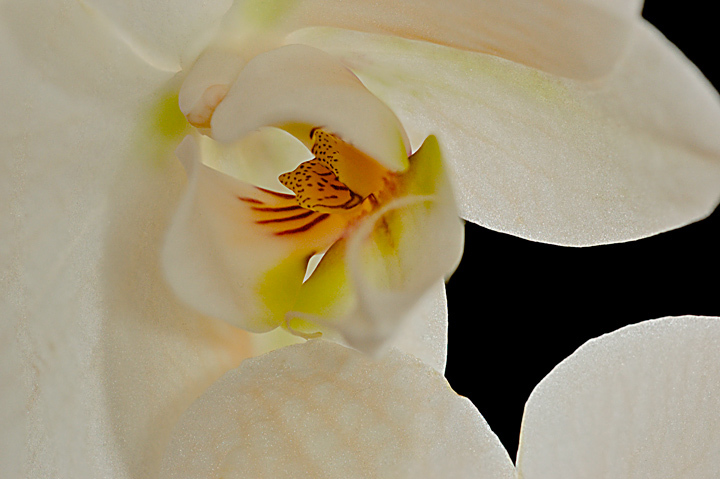 They had all sorts of Phalaenopsis Orchids so I thought that might make a great gift. I brought one home thinking that it would keep it’s bloom for a few weeks and the it would get tossed. Much to my surprise it was still blooming in May. Even better all I had to do was water it every couple of weeks. I started to do a little reading and when it finally dropped its bloom I replanted it and cut it back to see if it would bloom again. It started a new shoot and it is now about ten inches tall. I’m anxious to see if and when it will bloom again. As much photography as I do for some unknown reason I never bothered to take a picture of the booms. In the mean time I started to miss having a blooming Phalaenopsis around so I bought another plant with different colors. This one had two different flowers in bloom in one pot. One of them has held the bloom a lot longer than the other. I’m not sure I would get a double plant again but I was glad to have it around. Again I didn’t take a photo of it. A few weeks ago I bought a third plant. This was called an Orange Phalaenopsis. This time I decided to take some photos while the plant was still in full bloom. I don’t have an indoor studio so the pictures were taken on my kitchen table. It was cloudy out when I took the photos on the table. I then moved to the front of the house and took some photos in bright sunshine. 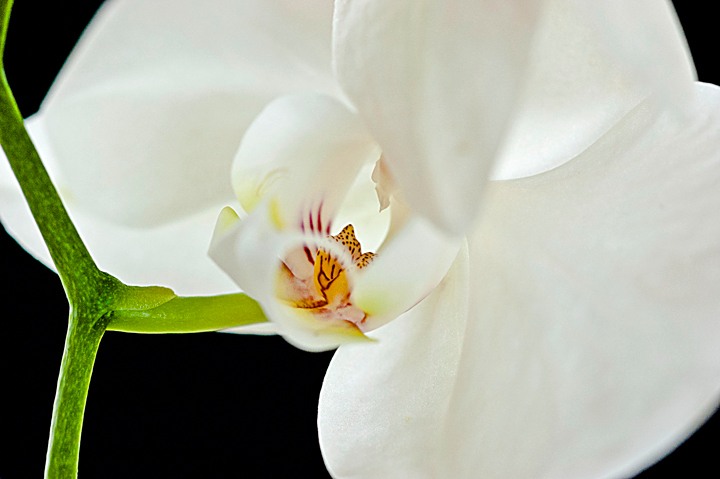 More orchid photos can be found on my website.